MentoringLeaders.com is a growing storehouse of gems that will help answer your questions on leadership and provide resources that will help you become a better leader. MentoringLeaders gives you access to videos, leadership resources, articles, books and other materials contributed by Wayne Cordeiro to help navigate you through the ins and outs of leadership. 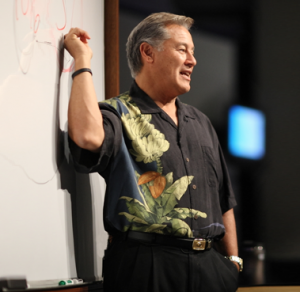 Wayne Cordeiro is the founding pastor of New Hope Christian Fellowship in Honolulu, Hawaii with over 11,500 in weekend attendance. New Hope is also listed as one of the top ten most innovative churches in America with Outreach Magazine listing them as one of the “top five churches to learn from.” New Hope is known for redeeming the arts and technology. Over 3,000 attending services each week via the Internet. New Hope has seen over 73,000 first time decisions in Hawaii since its inception 29 years ago. Wayne is a church planter at heart with over 124 churches planted in the Pacific Rim countries of the Philippines, Japan, Australia and Myanmar. Nationally, he has planted churches in Hawaii, California, Washington, and Nevada. He currently serves on the Board of Directors of New Hope Christian College. NHCC is now part of a consortium of New Hope Christian Colleges with locations in Hawaii, Oregon, Myanmar, and Tokyo. He has authored twelve books, including such classics as Doing Church as a Team, Dream Releasers,Seven Rules of Success, Attitudes That Attract Success, Divine Mentor, Leading on Empty,The Irresistible Church, Sifted and his latest, Jesus, Pure and Simple. Wayne is also the author of the Life Journal, which is being used by thousands of churches worldwide, is bringing people back to the Word of God. Wayne and his wife, Anna, have three married children and six grandchildren. His hobbies include music, reading, water sports, and riding his Harley Davidson. Wayne and Anna now split their time between Hawaii and Eugene, Oregon where they have a family farm. There he writes, and enjoys spending time with his grandchildren.